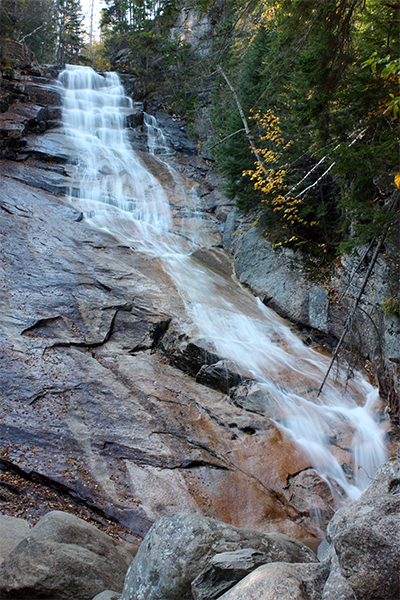 Crawford Notch State Park is rich with noteworthy waterfalls. 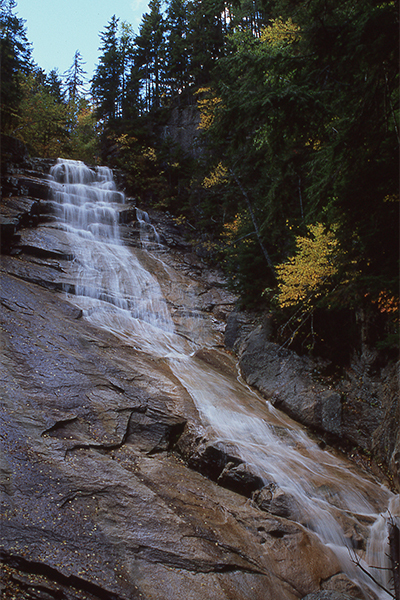 Towards the north end of the park are Gibbs Falls, Beecher and Pearl Cascades, and the towering sister waterfalls known as Flume Cascade and Silver Cascade. For the southern half of the state park, you will find popular day-trip destinations of Arethusa Falls, Nancy Cascades, and Ripley Falls, the latter being discussed here. Ripley Falls is a beautiful 100-foot sheet of whitewater flowing over a smooth rock wall. The rock wall is at about a 60-degree angle, causing the rushing mountain water to maintain contact with the rock during most of its descent. For the best photograph, scramble a few feet downstream and add some scale to your cameras frame, such as a person or rock in the foreground. There are only short, temporary periods where the water jumps away from the rock wall. 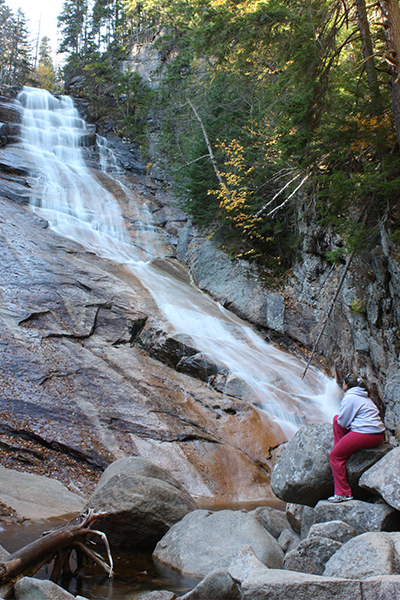 Because of this, Ripley Falls, as an entire structure, is one of the steepest-angled slides in all of New England. Depending on when you visit, you may see adventurers rappelling several times down the face of the falls. This exciting and relatively new activity is currently being offered by the guides of nearby Northeast Mountaineering.